GLOBE-WEIS Heavy duty Index Card Storage Drawer - Card drawer offers a 14-1/2 deep filing capacity, drawer pull and label holder. 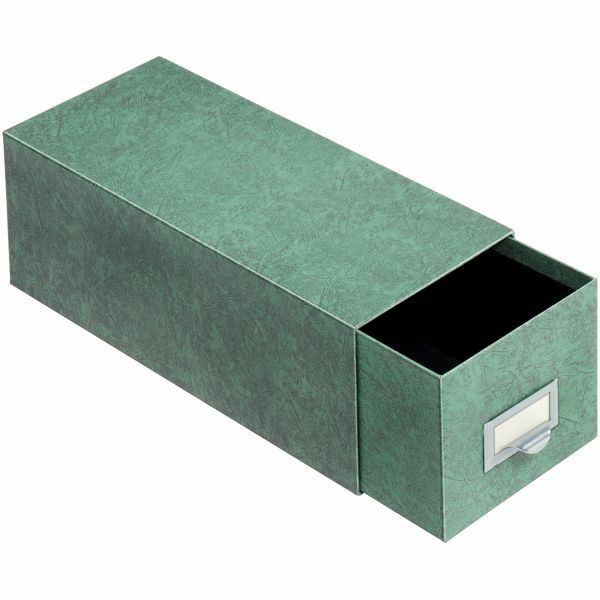 14-1/2" filing capacity holds 1,300 cards plus file guides. Index cards and guides are sold separately. Durable card drawer is made of heavy-duty fiberboard with a high percentage of recycled material."